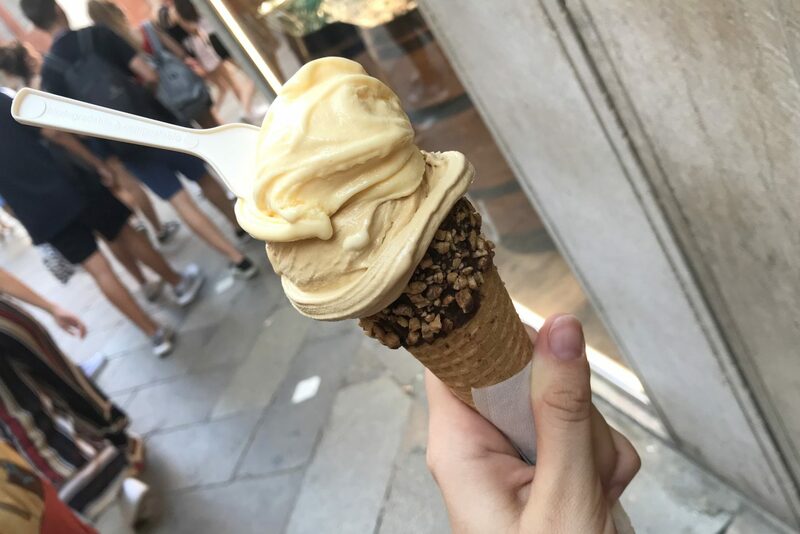 Venice, not only known for its beautiful buildings, canal lined streets and gondola rides, but also the fantastic gluten free food. 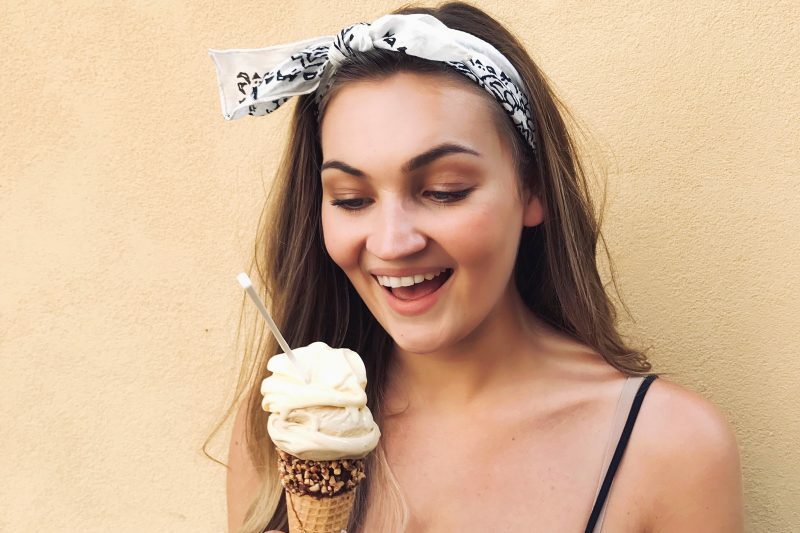 Any coeliac who has been to Italy will know that they are well up on their gluten free knowledge and options, making any trip to the land of fashion, art and vineyards, even more enjoyable! Now there is a difference in a restaurant that is certified gluten free and one that does gluten free options… basically it means the difference between having to have a conversation with the waiter regarding cross contamination or not. 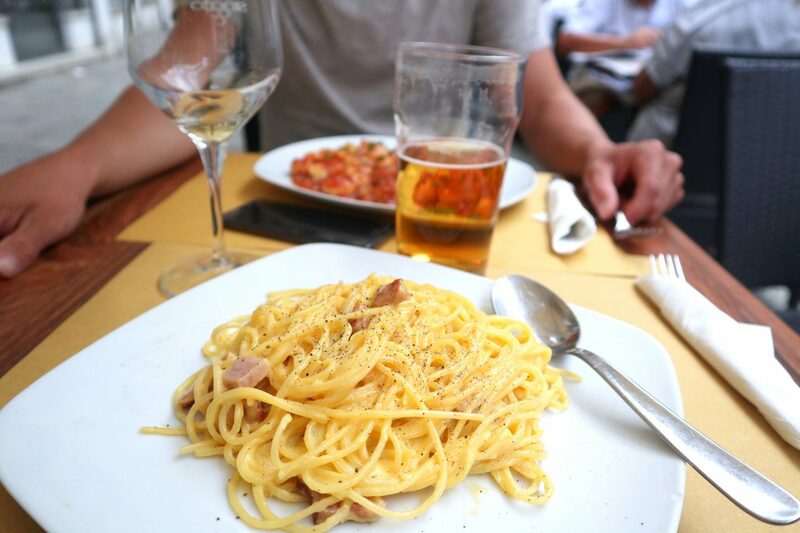 Certified means they are 100% safe without having to double check on cross contamination, the Italian Celiac Association has accredited these restaurants as safe for coeliacs. That said, there are many restaurants who offer gluten free, and when you talk to them re. cross contamination, they are very clued up and happy to assist with regards to making sure everything is 100% safe, they just haven’t got the accreditation as of yet. 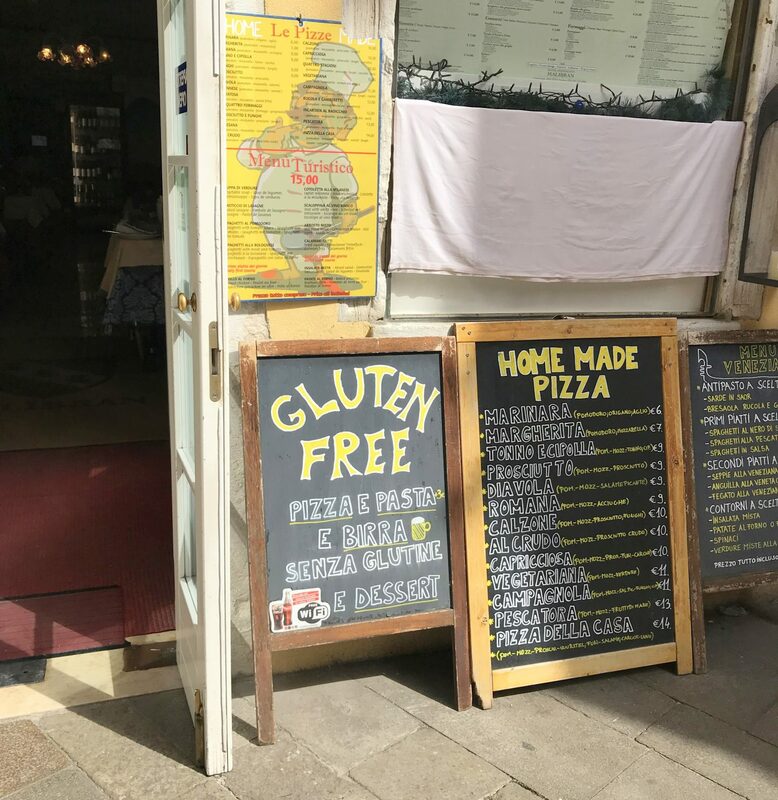 The beauty of Venice is you will see many gluten free signs as you wander the streets which is fab, and you everyone is super friendly which for us made everything easier. Trattoria ali d’oro – we ate here for dinner, really reasonable prices and they have gluten free pasta prepared in a separate zone. I had carbonara. Wasn’t ‘out of this world’ style food, but was a lovely relaxed & affordable dinner! 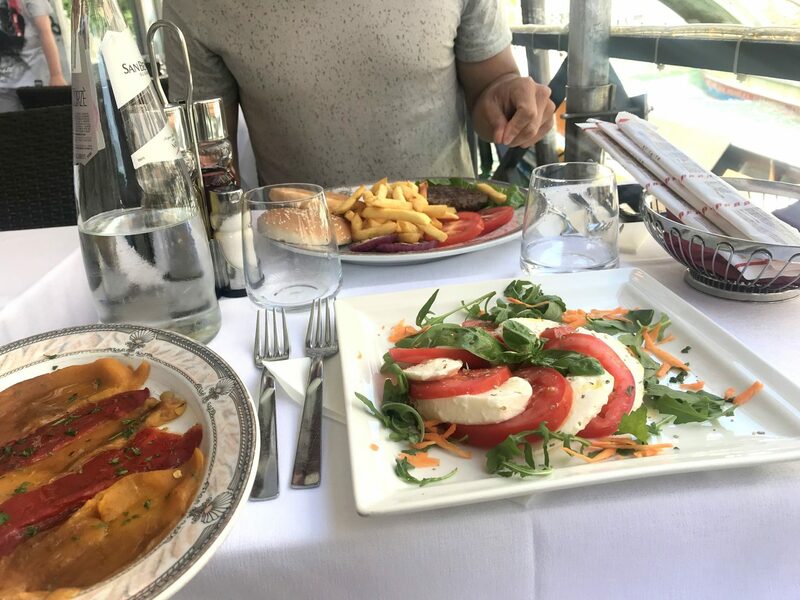 Trattoria Da Giorgio – A beautiful, peaceful spot by the canal, didn’t specify any gluten free but I had a wonderful caprese salad and roast vegetables, which was the perfect light lunch! 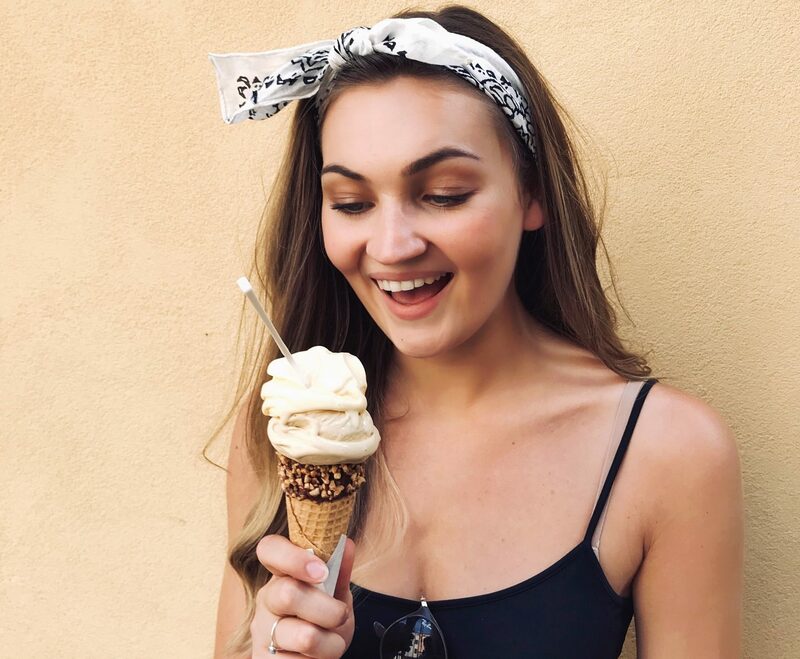 Visit GROM for amazing gluten free ice cream on the go, including cones! They have now opened a store in London too! Now a MUST visit as a coeliac is MEA Libera Tutti, a wonderful 100% gluten free shop in Venice. The staff were so helpful – a wonderful source of information and of course, gluten free goodies. They had everything from biscuits to cakes, to breads, every type of pasta (I managed to get farfalle (bow) pasta which you can’t get in the UK) as well as fresh pizzas, pastries, every Schar product under the sun and much more. It was Coeliac heaven! I loaded up my suitcase with as much as possible to take back home with me. They pointed us in the direction of many gluten free stops, which were absolutely fantastic. 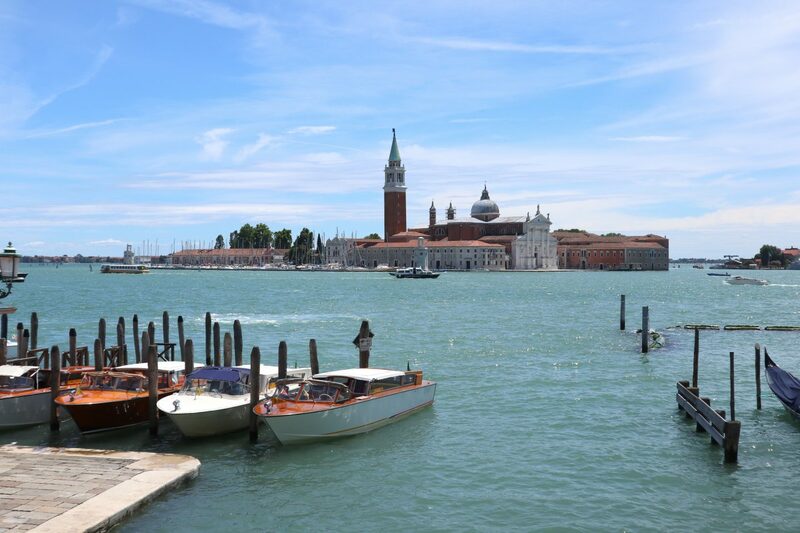 I would highly recommend Venice as a stop for not only its beautiful sights, but for the gluten free food. 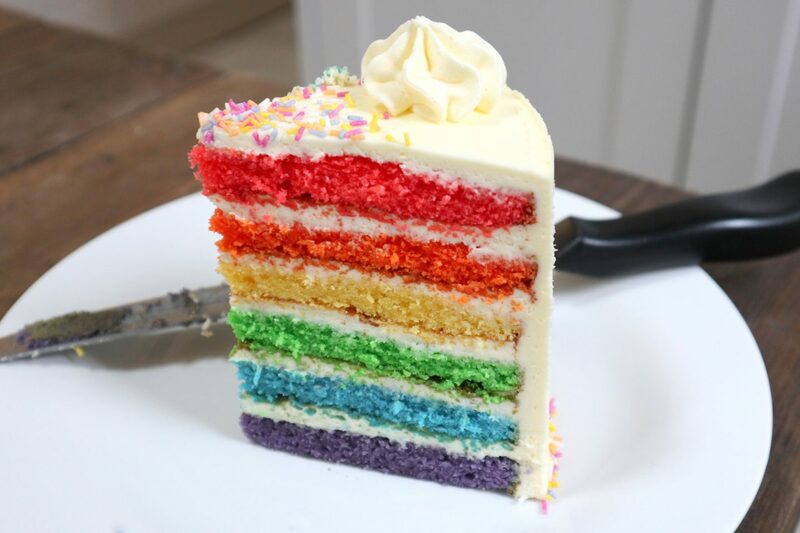 It is wonderful to feel so comfortable abroad with so many places happily catering for coeliacs, it makes the whole trip much more relaxed and enjoyable. Let me know where you would like to see me travel for gluten free next!